Posted on Friday, April 04, 2014 by "T". 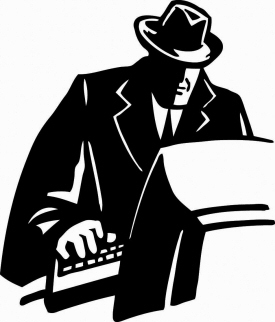 It's been a while since we made some news on the high-stakes poker games online. 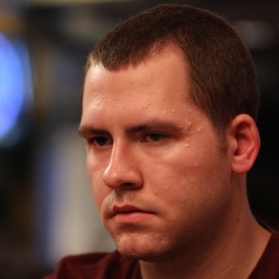 The most notable winner at Full Tilt's nosebleed tables in the past few days is Niklas "ragen70" Heinecker (picture), who was the biggest winner last year with $6,190,599 (65,577 hands over 506 sessions). High Stakes: Dan Cates and "proudlikeagoat" Win $200k Each! Posted on Monday, July 22, 2013 by "T". Sunday was an action-packed day at Full Tilt Poker's nosebleed tables with Daniel "jungleman12" Cates and "proudlikeagoat" ending up as the biggest winners with a profit of $200k+ each! proudlikeagoat, whose identity is unknown, made all his profits from a morning session at a $400/$800 No Limit Hold'em table. In total, he took down 2 of the 3 $200k+ pots of the day (both from a player called "MalACEsia") and called it a day when he had won $246.8k! Read more » High Stakes: Dan Cates and "proudlikeagoat" Win $200k Each! Daniel "jungleman12" Cates admits to cheating: "I lied"
Posted on Wednesday, August 17, 2011 by "T". Last week we could read about the "poker prodigy" José "Girah" Macedo, 18, and how he tricked people into playing poker against "the extremely bad player sauron1989", at the same time he "gave advice" to the players in question on Skype while he got to see their hands. It didn't take long before people found out that is was in fact José Macedo who used the account and as a consequence of this Macedo lost his sponsorship deal. This was the second time Macedo was involved in a cheating scandal. However, first time he only let another player use his account in order to win a ranking competition. Read more » Daniel "jungleman12" Cates admits to cheating: "I lied"
Posted on Tuesday, August 16, 2011 by "T". 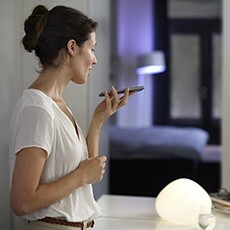 Lots of interesting rumors are circulating on the web right now. 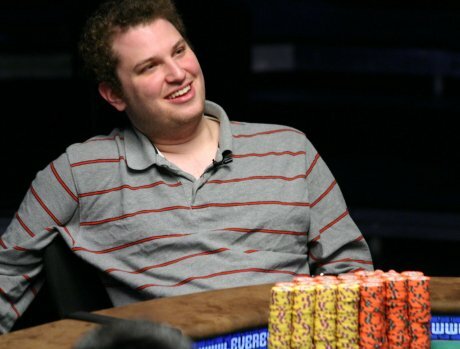 However, one of the most interesting ones is that Daniel "jungleman12" Cates has outstanding six million dollars stuck on his Full Tilt Poker account, and that he sold all of it to Tom "durrrr" Dwan after Black Friday. Danny "d2themfi" Isaacson was the one who reveled the information last Friday on one of the biggest poker forums online. "When we had dinner with Daniel 'jungleman12' Cates and Haseeb 'INTERNETPOKERS' Qureshi in Austin in late April right after Black Friday, Cates said that he had sold his Full Tilt Poker account balance (I believe for 85% but i can't remember). We then asked him if he sold it to Tom 'durrrr' Dwan, and his response was (paraphrasing) 'Someone like that', and we left it at that." Isaacson tells. Posted on Monday, August 01, 2011 by "T". It's not only poker companies that are leaving the U.S. market after Black Friday, also many online pros have decided to leave the country. 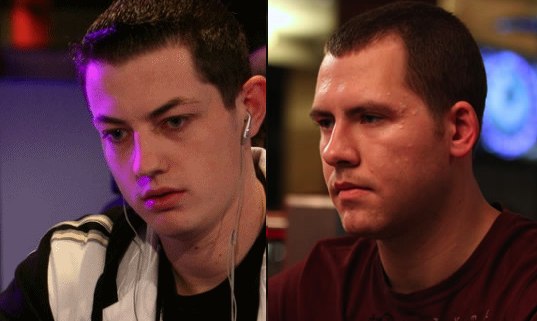 Brian Hastings, who won $4 million against Viktor "Isildur1" Blom in a single session in December 2009, is one of these players. 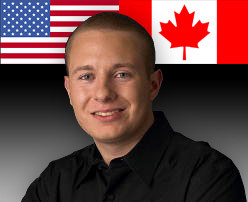 In Hastings blog, one can read that he's getting more and more into live poker but that he still wants to make a short-term move Canada in order to play some high stakes poker online. Luke "__FullFlush1__" Schwartz's attack on "jungleman12"
Posted on Thursday, March 31, 2011 by "T". The Englishman Luke Schwartz is well-known troublemaker in the poker world. For example, he has been banned from several casinos due to misbehavior and stealing. However, there hasn't been much talk about him lately and it almost seemed like his character had changed for the better for a while. Well, that was until a few days ago when he once again got himself into trouble after personal attacks on Daniel "jungleman12" Cates. 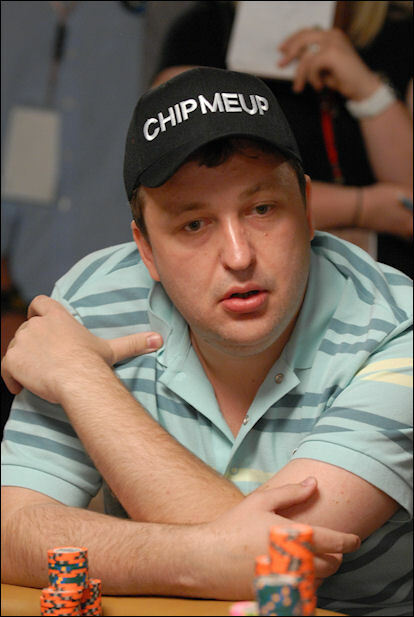 Read more » Luke "__FullFlush1__" Schwartz's attack on "jungleman12"
Posted on Tuesday, March 15, 2011 by "T". It ended up being a very interesting week at Full Tilt and Poker Stars high stakes tables last week. Most of the online world's biggest stars were playing and it seemed like there were interesting games going around the clock. 2010's biggest winner online, Daniel "jungleman12" Cates, dominated last week's games. With a $8977,550 win he doubled his results this year and now he's the 3rd most successful player this year. Only Gus Hansen and Matt Hawrilenko have won more. HIGH STAKES: Phil Ivey wins $1,5 million - in just one week! Posted on Tuesday, March 08, 2011 by "T". At the end of last week the American poker pro Phil Ivey had a really good run at Full Tilt's nosebleed tables. 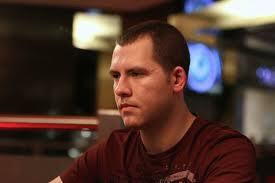 It was in a session against Scott "urnotindangr" Palmer and Dan "Jungleman12" Cates that Phil Ivey won big. When Ivey decided to call it a day, he had won not less than $1,497,482! A huge win even for the biggest pros! Another player that did very well last week was Gus Hansen. Gus won almost half a million dollars and has now won about $3 million dollars this year! Well, even though it's a huge amount of money, it still doesn't make up for all the money he has lost over the past few years. Posted on Tuesday, February 15, 2011 by "J". Daniel 'jungleman12' Cates now speaks out about the defeat of Viktor 'Isildur1' Blom in the third edition of the heads-up challenge SuperStar Showdown. When Viktor 'Isildur1' Blom on sunday beat Eugene Katchalov in SuperStar Showdown IV, he of course changed the overall statistics for the challenge, to 3-1 in the Swede's favor. It may be difficult to see who will step up and end his good run, where he now has three wins in a row. The toughest opponent on paper, is last year's most successful No Limit Hold'Em player, Daniel 'jungleman12' Cates, but Blom already taught him a lesson in the SuperStar Showdown III. Posted on Friday, February 11, 2011 by "J". Last year's high stakes King Daniel 'jungleman12' Cates, was thursday morning challenged to a heads-up duel by a totally unknown Swede. The meeting evolved mildly surprising. It's not every day that Daniel 'jungleman12' Cates looses 47 buy-ins on a single headsup session. However, it is not every day that he moves down as 'low' as $ 25 / $ 50, but both were exactly what occurred against Swedish 'Lindqvro' thursday morning at Full Tilt Poker. Posted on Tuesday, February 01, 2011 by "T". 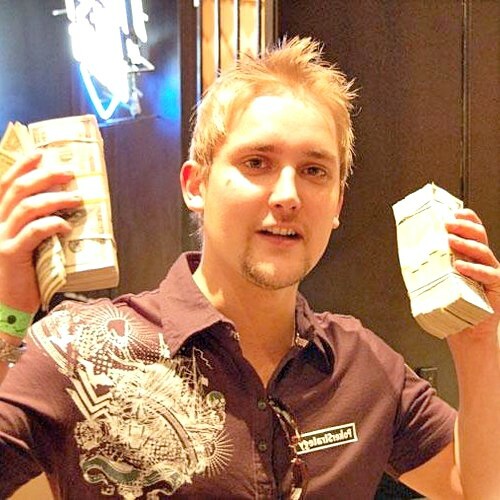 2010's biggest winner online, Daniel "Jungleman12" Cates, had a rough week at PokerStars and Full Tilt's poker tables last week. At Full Tilt Poker he lost $443,00 (only Also11 lost more -$450k) and at PokerStars about $50,000 in thrilling heads-up match (SuperStar Showdown) against Viktor "Isildur1" Blom. The Danish poker pro Gus Hansen, who was one of 2010's biggest losers online, ended up being last week's biggest winner online. Gus managed to win not less than $650k in just about 1200 hands. It will be interesting to see if he can keep up the good game this week as well. Posted on Tuesday, January 18, 2011 by "T". 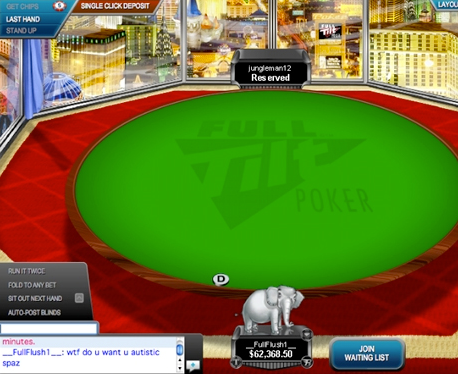 There hasn't been much action at the nosebleed tables online in the past few days, however there have been some good games on the $25/$50 PLO tables at Full Tilt. 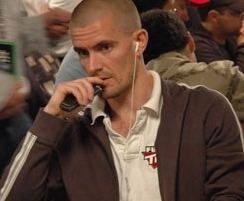 One of the most active players has been the Swedish player Toomten. He won $159,000 from a player called Bttech and then he decided to take on 2010's biggest winner online, jungleman12. Posted on Wednesday, January 05, 2011 by "T". Another session, as a part of the durrrr challenge, between Tom "durrrr" Dwan and Daniel "Jungleman12" Cates was played the other day at Full Tilt. The session (15) lasted for about 6 hours and they manage to play 2900 hands, which means that more than 17,000 of 50,000 hands have been played. Anyhow, it was Daniel Cates, the biggest winner online last year, who dominated this session and took $318,000 from Tom Dwan. This means that Daniel Cates increased his lead to $819,213. Posted on Monday, January 03, 2011 by "T". After summarizing 2010's high stakes games online, we have completed a list over 2010's most successful poker players at Full Tilt Poker. It really ended up being the year of the "newcomers" - Daniel "Jungleman12" Cates grabbed the first place with over $5.5 million won and Andreas "Skjervoy" Torbergsen ended up in second place with almost $3,8 million. As it goes for Brian Townsend, who was a big winner 2009, he ended up losing the most 2010. Townsend was losing almost every single month and for a long time "the battle" for the not-so-glamorous first place on 2010's biggest loser list was between him and the Finnish poker star Ilari "Ziigmund" Sahamies. However, Townsend ended up losing $4 million dollars and Ziigmund about $2 millions. Posted on Thursday, December 02, 2010 by "J". 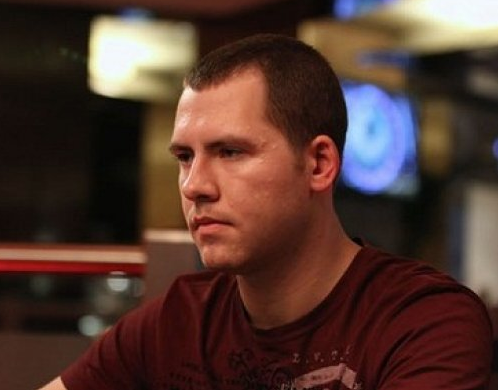 Daniel 'Jungleman12' Cates is one of the biggest high stakes comets at Full Tilt Poker, where he has come into focus after taking up the 'Durrrr Challenge'. "I don't want to sit and wait for a bad player. I want to be the best, and in way to become that, you have to play alotta hands. There are numerous pros out there, just waiting for the fish, but i think it's fun to play the regulars. If i had to choose though, i would probably play against the fish, because i also like money." Posted on Thursday, October 14, 2010 by "T". After a kind of quiet week at Full Tilt's nosebleed tables, we think it's about time to summarize 2010's high stakes results. The 2 biggest winners this year are, not really a big surprise, Tom "durrrr" Dwan and Daniel "jungleman12" Cates. Both Dwan and Cates have won over $4 million dollars each and, at the moment, it looks like their winning streaks aren't over yet. Other big winners this year are Phil ivey (+$3m), Andreas "skjervoy" Torbergsen (+$2,5m) and LokoIsback (+$2,44m). Posted on Tuesday, October 05, 2010 by "T". Yesterday it was finally time for a longer heads-up session between Tom "durrr" Dwan and the mystery swede Isildur1 again. They played at four $100/$200 NHL tables and managed to play over 3000 hands in about 6 hours. The match was very even most of the time, but thanks to a few big pots Isildur1 managed to walk away with about $120,000. After that this match was over, Isildur1 decided to continue. 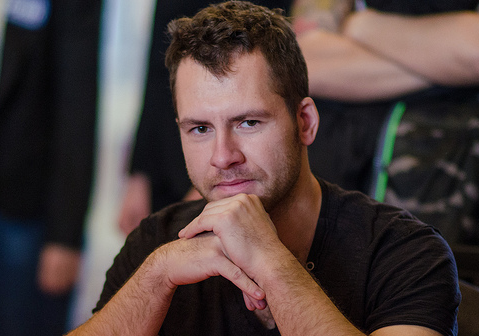 Now it was time for Isildur1 to take on Dan "jungleman12" Cates at the $100/$200 NLH tables. The match lasted for about 4 hours and was dominated, once again, by the american who won $170,000 from Isildur1. Let's hope for more interesting high stakes games at Full Tilt Poker this week! Hopefully we will get to see some crazy heads-up sessions between durrrr and Isildur1 at the $200/$400 PLO tables. Posted on Thursday, September 02, 2010 by "T". 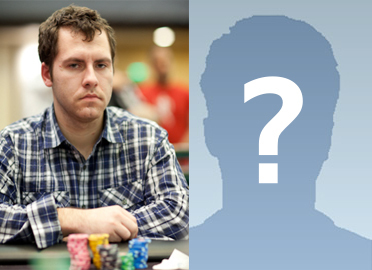 Gus Hansen's nightmare at the poker tables online never seems to end. He has been one of the poker players who have lost the most money ever single week/month this year. Last month, for example, he ended up losing 2.8 milion dollars and took home the first spot in the list of August biggest losers online. I must admit that he has been very unlucky as well. But still - a big poker star like Gus Hansen shouldn't lose this much money ever month. He must take a good luck at his own game and try to find out what he's doing wrong. Maybe the best thing for Gus would be to play a bit lower stakes for now? Well, somehow I doubt that he will do that, at the same time as I hope he will start winning soon again. We can not afford to lose a player like Gus Hansen from the high stakes scene. Jungleman12 and URnotINdanger2 are the nicknames of two of the most successful and active poker players at Full Tilt Poker at the moment. Even though they have been in the spotlight for almost a year now, they have decided not to reveal their real names. There have been many people who have tried to figure it out though, but nothing has ever been confirmed - until now! Posted on Tuesday, August 10, 2010 by "T". 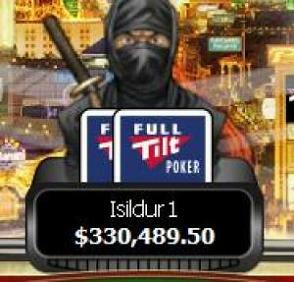 Wow, that's all I can say about the action we have got to see at Full Tilt Poker lately. Finally those high stakes games where hundreds of thousands change owner, every single day. It's also great to see that most of the notables in the high stakes world are back at the tables again. However, one player who has impressed a lot lately is the king of high stakes, Tom "durrr" Dwan. For example, during Sunday no one stood a chance against him and he ended up as the biggest winner. HighStakes: Is another durrrr challenge about to start? Posted on Friday, July 23, 2010 by "T". 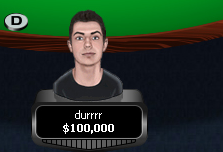 Even though the durrr challenge between Tom Dwan (picture) and Patrik Antonius is still going on and never seems to end, Tom "durrrr" Dwan still wants to get another one going. Rumors saying that Tom "durrrr" Dwan is trying to get another challenge going has been circulating on the web for some time now. Many of these rumors claims that Tom Dwan has challenged jungleman12 (successful high stakes player - true identity currently not known) numerous times but never got any positive feedback. However, now it seems seems like jungleman12 will accepted the challenge. During a small $100/$200 NLH game, durrrr proposed the challenge to jungleman12 in the chat and it seems like jungleman12 is considering to accept. Read more » HighStakes: Is another durrrr challenge about to start?